*For consistency purposes, a “page” is defined as a maximum of 400 words per page. Any pages that exceed 400 word will be counted as more than one page. All fees are considered earned upon receipt. You may nevertheless discharge your attorney at any time and in that event may be entitled to a refund of all or part of the fee based upon the value of the representation. 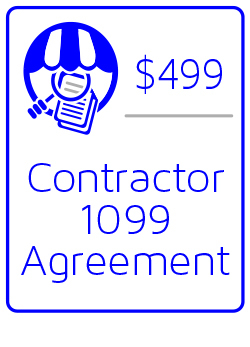 **During a month of service, you will receive contract review per month, with a maximum of 15 pages a week; formation of one contract per month, with a maximum of 15 pages; and four 60-minute consultations with your attorney. All fees are considered earned upon receipt. You may nevertheless discharge your attorney at any time and in that event may be entitled to a refund of all or part of the fee based upon the value of the representation. ***Any services listed on this website or quoted by an attorney do not include the fees and cost charged by other third-party and government entities.